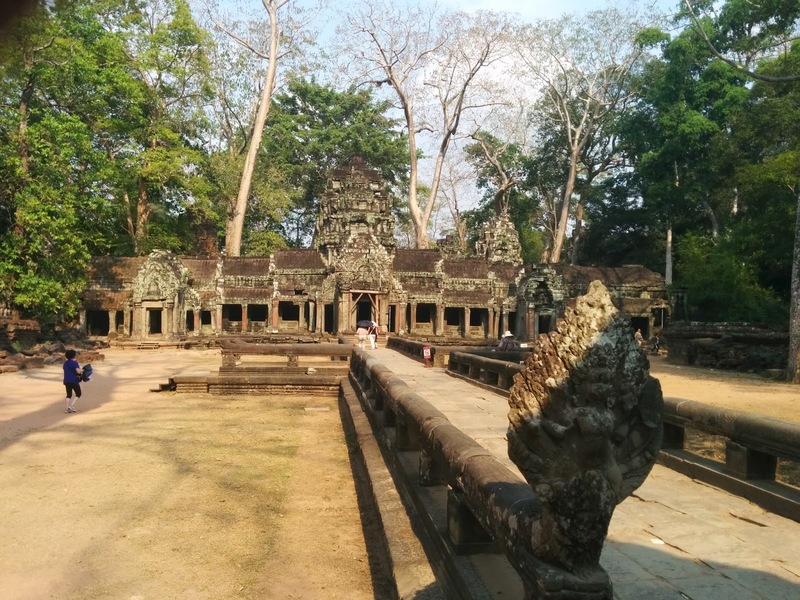 This post is part of the AtoZChallenge, which I'm doing on my recent trip to Siem Reap in Cambodia. Ta Prohm - my favourite of the Angkor temples. Why did we feel like we had a connection to this temple? Though we were as tired as tired could be, though just the thought of exploring this large temple tired us out even more, Ta Prohm invited us to sit down and look around. To lie back and understand that humans matter very little. That no matter how much humans think of themselves, no matter how large the monuments they build for themselves, nature will still take over. It might take centuries, it might even take a millennium, but it will happen. Ta Prohm, of course, is The One with the Trees. The photos you've seen of gigantic trees growing on top of shrines and in the middle of shrines and all around shrines? Most of those photos came from this temple. 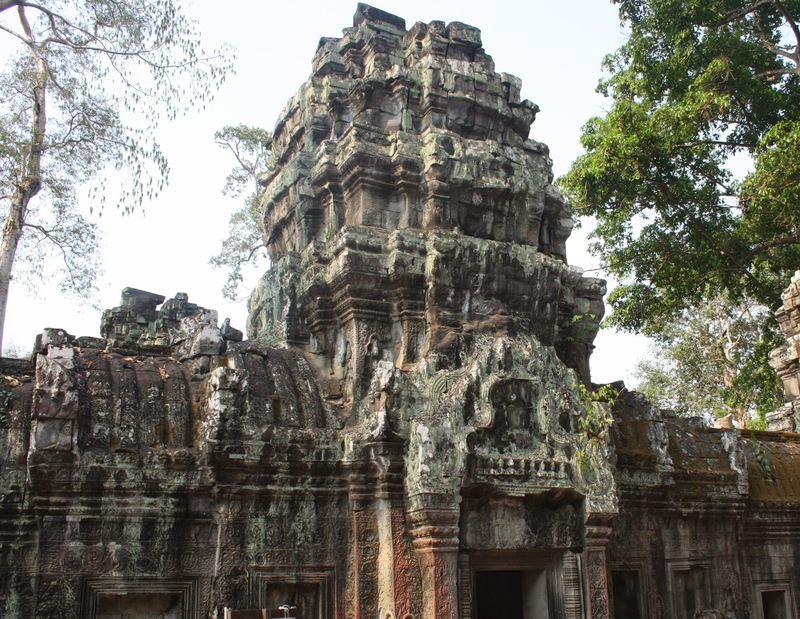 The Indian government is the one that's restoring Ta Prohm. We were supposed to a complete it in 2013, but work is still going on. Ta Prohm is a maze of green stones inside. Shrines spring out of nowhere. Masses of broken stone, precariously balanced. Those trees, towering over everything, throwing everything into a green gloom. If you want to get a sense of how tiny you are, stand next to those trees. You're smaller than a single root of a single tree, that's how small you are.